Serif type constitutes one of the two major categories of type used for text today. Although appearing to be contemporary in origin, the first uses of serif type date back to Ancient Rome. The serif letterforms were first evident in the marble and stone carved writings on Roman architecture. 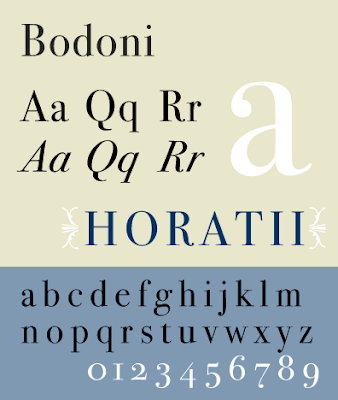 The letterform style disappeared after the fall of Rome, but reappeared in Western Europe during the mid 15th century. The uppercase letterforms are based on ancient Roman capital letters and the lowercase is based on humanist script of the 14th and 15th centuries. Serif type can be described as letterforms that have small extensions at the ends of letter strokes. These “serif” extensions are commonly referred to as “feet”. The serifs we are now familiar with were an invention of the ancient Roman stone carvers. What appeared to be serifs in the carvings, were nothing more than chisel marks that the carvers hammered at the end of letterform horizontal, vertical and diagonal strokes. This was done to provide a practical way to finish off carved strokes so they appeared consistent when light was cast on them. Some 15 centuries later, printers and typographers were looking for inspiration to create a more practical, easily producible, materially efficient, and cost effective style of letterform to replace the Gothic letter style that was then is use. The chisel marks were misinterpreted and given their own separate aesthetic purpose. Another characteristic of serif type is that the letterforms are almost always a combination of contrasting thicker verticals and thinner horizontals strokes. In some typestyles this is dramatically apparent and in others it may be very subtle. The major classifications of serif typestyles include Old Style, also called Humanist, Venetian, or Classical; Transitional; Modern also called Neo-Classical or Didone: Slab-Serif also called Egyptian or Square-Serif; and Italic also called Cursive or Oblique. Developed in the mid 15th century and continuing to dominate type design on for the next two hundred years, Old Style letterforms derive their appearance directly from two sources. Capital letters were interpretations of letterforms that appeared on stone carvings in ancient Rome. Lowercase letters were derived from the hand written Carolingian miniscule style script that was still in use at the time, even though it originated in the late 8th century. Some of the characteristics of Old Style letterforms include less contrast between thick and thin strokes; a calligraphic appearance to lowercase letters; angled chisel-like serifs; lowercase letterforms with a relatively small waist or x-height in comparison to cap-height; the use of slightly angled horizontal strokes; and a central axis to circular letters that leans to the left. The sturdy thicker appearance of thick and thin strokes was to endure the stress placed upon them due to the relatively crude technology used in the printing process of the 15th and 16th centuries. 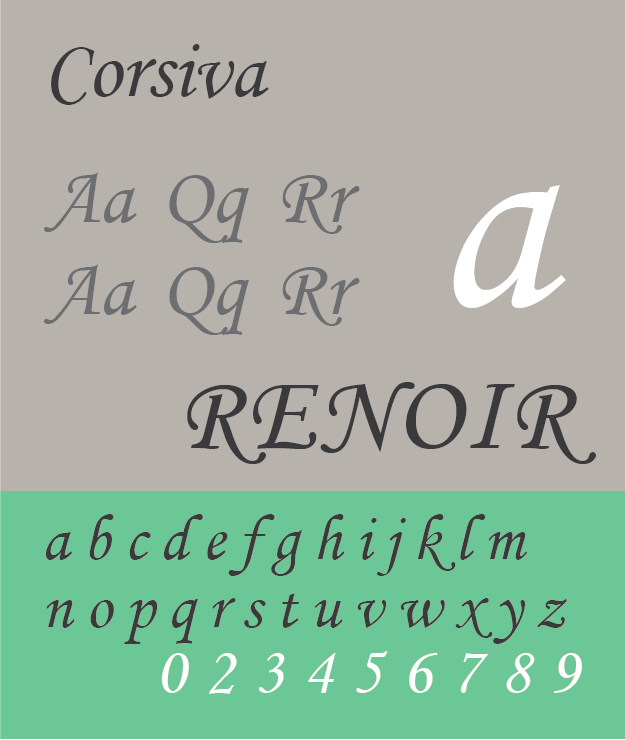 Although they originated several hundred years ago, contemporary typeface designers still create fonts that can be classified as Old Style today. 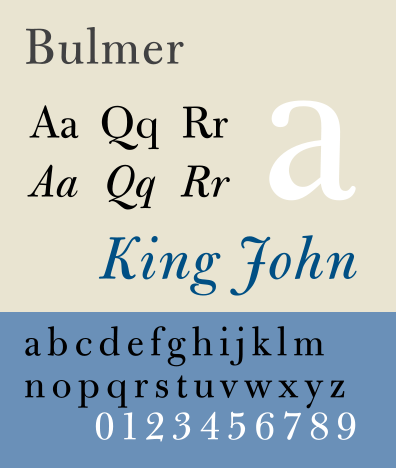 Examples of Old Style types include Jenson, Bembo, Caslon, Centaur, Cloister, Garamond, Goudy, and Requiem. Old Style. Courtesy of Wikimedia Commons. Transitional types are those that were created between the earlier Old Style period and the later Modern period of type development. 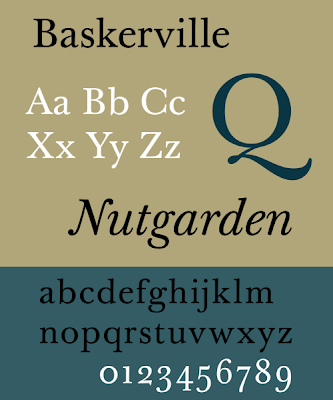 John Baskerville is generally credited with popularizing the adoption of these types. The Transitional style advanced upon the classical references of Old Style types and became the precursor to Modern Style types. This historical typographic movement was relatively short lived, from 1750 to 1800, although the design of Transitional types carries on today. The more refined appearance of Transitional type designs became possible due to technical advancements in printing. Still retaining some of the structural traits of Old Style types, Transitional letterforms differ in that they have more contrast between thick and thin strokes; eliminate angled horizontal strokes; show more roundness to letters that utilize circular structure; have a vertical central axis in round letters; display larger serifs that rest flat on the base-line and cap-line; and have a balanced waist-height relationship to cap-height. 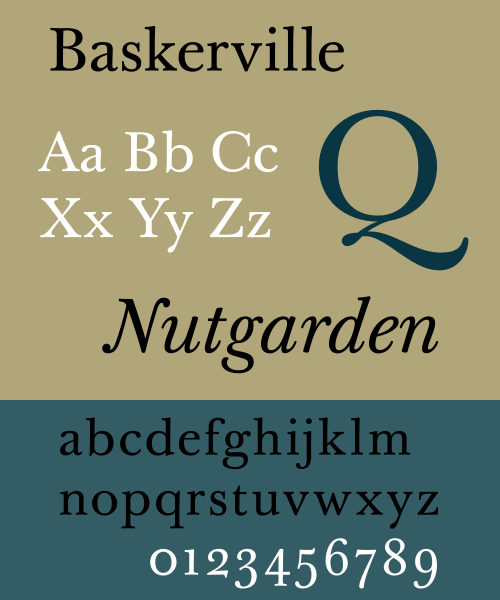 Examples of Transitional typestyles include Baskerville, Bookman, Bulmer, Century, Fournier, Perpetua, and Times. Transitional Style. Courtesy of Wikimedia Commons. 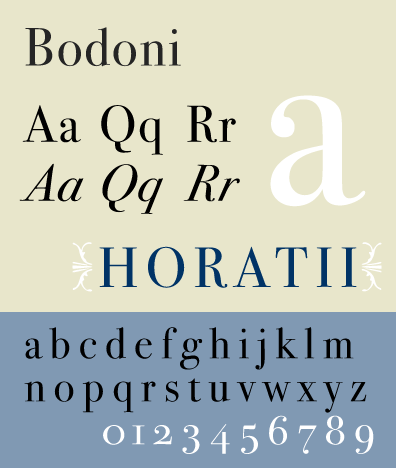 In 1790 in Italy, Giambattista Bodoni took letterform structure to an extreme by creating type forms that exhibited a drastic contrast between thick and thin strokes. 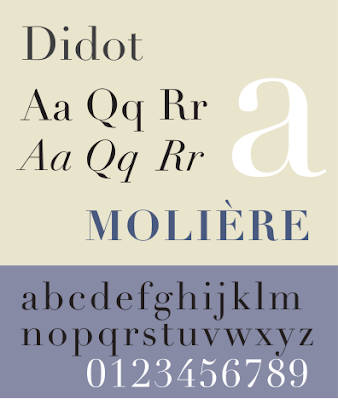 Soon afterward in France, Firmin Didot cut an even thinner and lighter style, and the Modern or Didone type movement was born. Although the model for Modern types is over 200 years old Modern styled fonts are still very popular and continue to be developed today. Again, further advancements in the printing and papermaking technology of the late 17th century allowed for more delicate letterform structures to be printed. With these technical refinements, printed impressions could be achieved without having to place an extraordinary amount of pressure and stress on the cast letterforms. Even if Modern styled cuts were available when the first serif types were being invented, the printing presses of that period would simply not been able to print with them. Modern types display characteristics that include an elegant relationship of full-bodied thick letter strokes that contrast extremely thin ones; very thin refined serifs that lie flat on the baseline and cap-line; round letterforms that are balanced on a 0-degree vertical central axis; lowercase letters with taller waist-height relationship to cap-height; perfect 90-degree horizontal cross strokes; and large conspicuous counters and eyes. 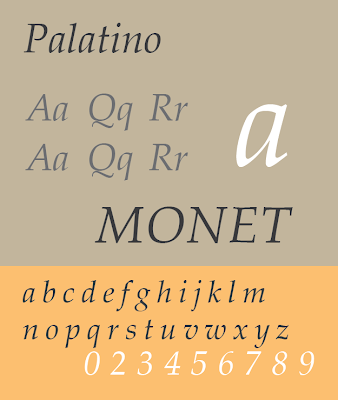 Modern type examples include Bodoni, Didot, Fenice, Modern No. 20, and Wallbaum. Modern Style. Courtesy of Wikimedia Commons. Twenty-five years after the introduction of Modern serif types, Slab-Serif styles began to be produced; around 1815. The Emperor Napoleon can be credited with why they are also called Egyptian. This was due to what type historians thought to be a visual similarity to some characteristics displayed in the drawings Napoleon brought back from an expedition he led to Egypt a few years earlier. Interestingly enough, the structure and appearance of the Slab-Serif style presented the polar opposite to that seen in Modern fonts. This occurred because Slab-Serif types differ in purpose than those that were created as Old Style, Transitional, or Modern styles. The intent of Slab-Serif types was to produce a very bold letterform that would function well in circumstances where printed articles needed to be presented in a public forum and viewed from a distance. 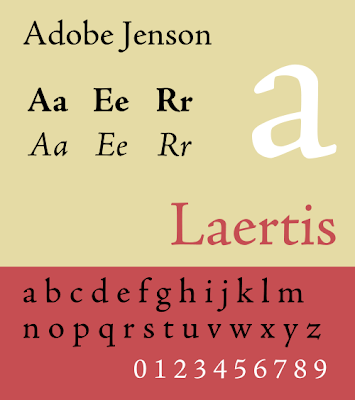 Characteristics of Slab-Serif types include serifs that are the same thickness as letterform strokes; wider serifs than those seen in other classifications of serif types; strokes that display an even-width relationship of thick and thin; and a firmly established horizontal and vertical stroke relationship. 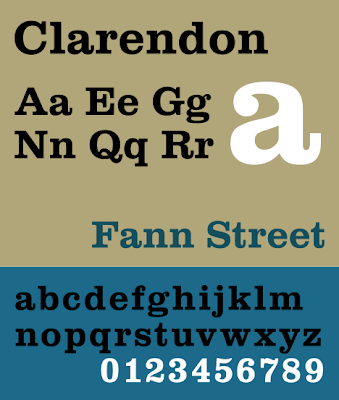 Examples of Slab-Serif typestyles include American Typewriter, Clarendon, Courier, Glypha, Lubalin Graph, Memphis, Museo, Rockwell, and Stymie. Slab-Serif Style. Courtesy of Wikimedia Commons. Italics were among the first styles of Roman type to be created for Renaissance printing; predating some Old Style Roman forms. The original italic was introduced in Italy in 1501 by Aldus Manutius (Aldo Manuzio) and is known as the Aldine Italic. It came about as a response to printers and typographers seeking a new kind of letterform to replace Gothic movable types such as Black Letter and Fraktur. Smaller sized books also began to come into production, which demanded more space efficient types. The Aldine Italic suited this purpose well being patterned after a combination of the Roman stone-carved letterforms still evident on ancient monuments, and Humanistic cursive handwriting styles in use during an earlier part of the 15th century. 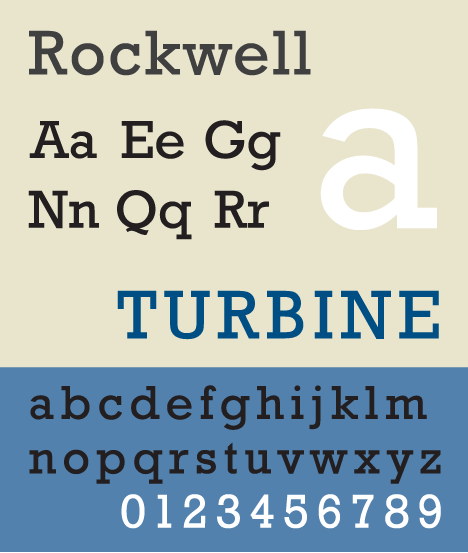 Although Italic types nowadays are incorporated into most text type families and are used for emphasis in hierarchical typographic arrangements, they originally were stand-alone fonts. The main characteristic of Italic types is their slanted appearance. 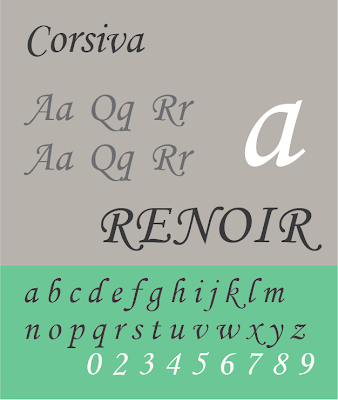 Other stylistic traits of Italic types include cursive styled lowercase letters, many with flourishes; lowercase letter strokes with upward and downward turned endings; and letterforms that appear to join togerther to give the appearance of connected letters to create a flowing "handwritten" look. 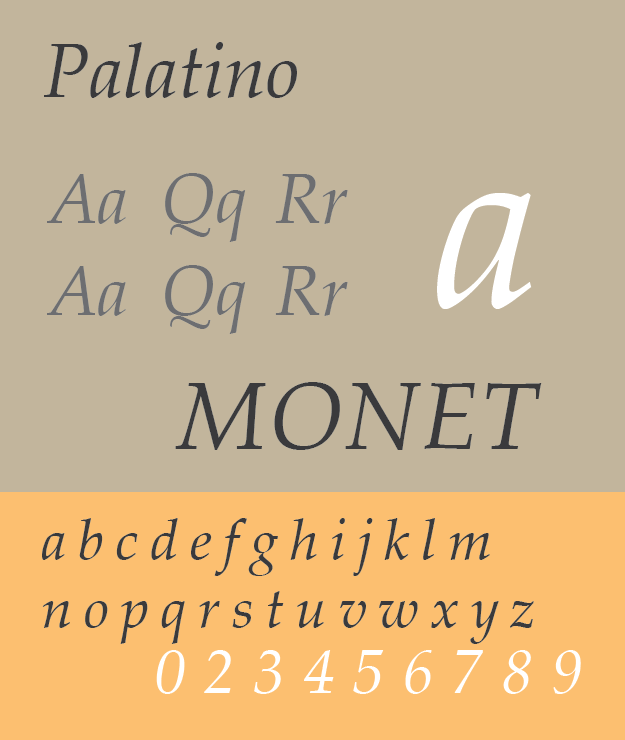 There are many examples of Italic types in addition to the Aldine archetype including Old Style, Transitional, Modern, and even Slab-Serif examples. 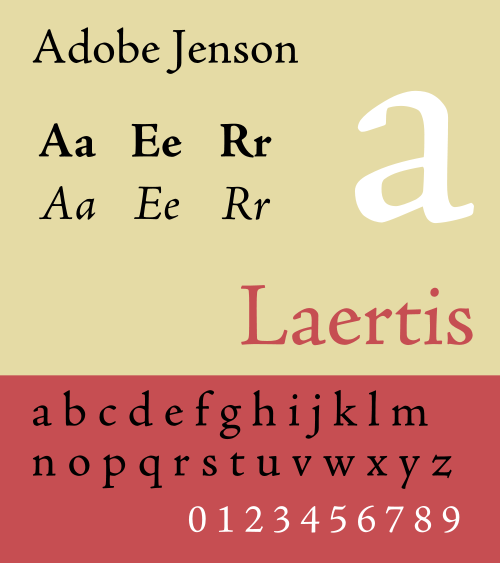 Baskerville, Bodoni, Clarendon, Garamond, Vivaldi to name a few. Italic Style. Layout courtesy of Wikimedia Commons. 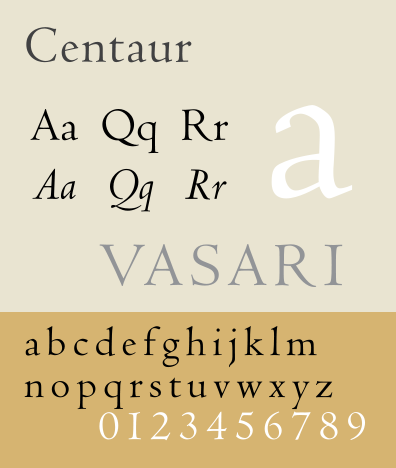 Disclaimer: The versions of historical fonts that are in common use today have been redrawn and adapted to modern technology, and in some instances they have been reinterpreted a number of times over decades and even centuries, so most fonts, although retaining their original traits may be quite different in appearance from their original cut.